Bricker & Eckler is one of Ohio's leading law firms, with offices in Columbus, Cleveland, Cincinnati-Dayton and now Marietta. With more than 25 attorneys who were born or have family connections in the region, the firm has a longstanding commitment to the Southeast Ohio region. In Washington County, the firm has worked with Marietta Memorial Hospital and Marietta College, as well as the Belpre, Wolf Creek and Frontier school districts and the Washington County Career Center. The firm helped organize the Southeastern Ohio Landowners Association (SEOLA), and has successfully negotiated and closed deals with six different oil and gas companies on behalf of its members. Additional key areas of focus for the firm in Southeast Ohio include health care, economic development, education law and shale oil and gas. 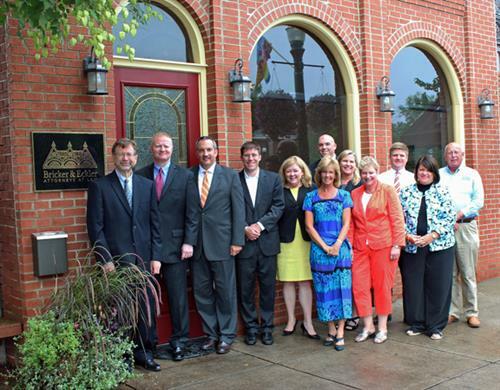 Bricker & Eckler is located at 258 Front Street in downtown Marietta's historic district.